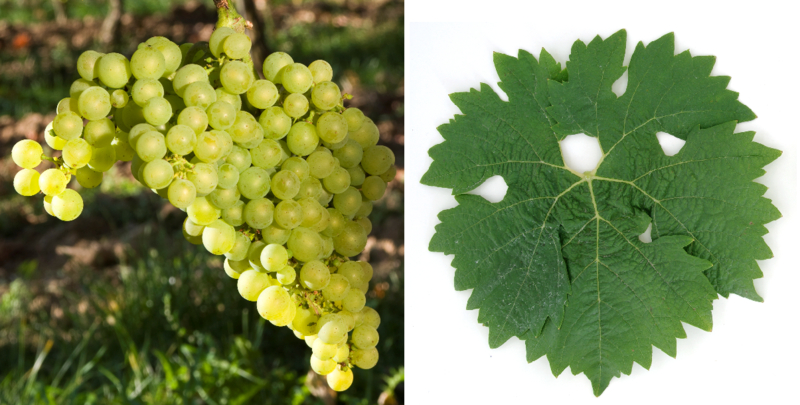 The white grape variety (also Würzburg 48-21-4) is a new breed between Müller-Thurgau x Siegerrebe What was published in 2012 DNA analysis was confirmed. The crossing took place in 1948 by the breeder Dr. Hans Breider (1908-2000) at the Bavarian State Institute for Wine, Fruit and Horticulture in Würzburg, The breeder named her after his favorite philosopher, the Spanish poet José Ortega y Gasset (1883-1955). The variety protection was granted in 1981. Incidentally, the same parents are also the new breeders Muscabona. Tamara and Thekla emerged. The early ripening vine is susceptible to spring frosts, prone to Botrytis and Verrieseln, but resistant to both mildews, It produces flowery, rather acid white wines with peach flavor. The variety is mainly in Germany (622 ha), as well as in England (18 ha) and Canada (29 ha) cultivated. In 2010, a total of 669 hectares were designated (Kym Anderson ). This page was last modified at 4 January 2019 at 09:51.